Moose Jaw could soon see, not just one, but two private cannabis retailers under regulations released by the Province. Under the Province’s plan, approximately 60 retail outlets will be allowed in 40 municipalities and First Nations. The initial allocation of retail store permits will be municipalities and First Nations with populations of at least 2500. Individual municipalities and First Nations can decide if they want to have cannabis retailers in their communities. Brent Betker, who operates Watchtower Glass, a counter culture supply store, offering everything for cannabis supplies (not the actual cannabis), is cautiously happy with the Province’s move. Necessities would include but are not limited to things like schools, health care and roads. Taxes generated should benefit cannabis and non-cannabis users alike, Betker said. Betker said he does not see any great windfall for his shop when sales are legalized. “It was the exact same people consuming it before as it will be after (legal sales). I don't see masses of people starting to consume it because it's legal,” he stated. Asked about the upcoming decision by the Province on when people should be legally allowed to purchase cannabis, Betker said, he feels it should be “within reason” stating he felt ithat somewhere in the 18-21 year range would be appropriate. “It shouldn't be 16…but people today are consuming it at a much younger age” he said feeling the 25 year old age gap is too high with people in his suggested age range of 18 – 21 consuming it anyhow. 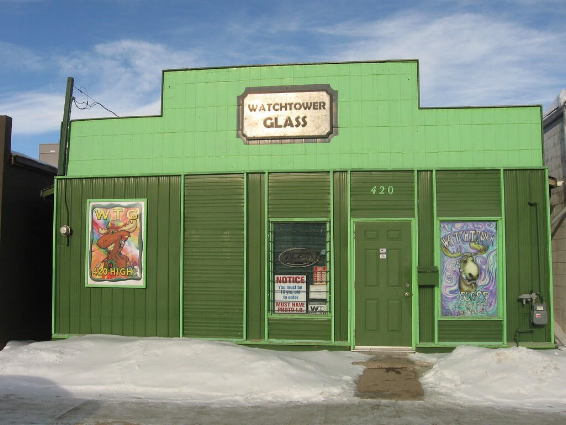 It should be noted that Watchtower Glass does not allow anyone under 18 inside their establishment. Regarding where cannabis retailers are allowed to be located in the City, Betker said it should be up to the people of Moose Jaw to decide. Asked if he was going to try to win one of the two legal retail cannabis licenses being offered for Moose Jaw Betker said he had not decided yet. Specific details regarding application criteria, permit licensing fees, application timelines will be made available by the Province in the coming weeks.The final decision on whether or not to allow cannabis retailing is up to the local municipality. It should be noted the Province has also not yet indicated and decided what share of cannabis sales taxes municipalities will receive. At the present time the City has yet to discuss the issue as they have been waiting on what the Province was going to announce. The federal government has set July 1st as the date to legal cannabis consumption. New GM, Graham Edge, Speaks About the Future of Mosaic Place.